Hall Ways Blog: Out and In ~ ~ Lone Star Book Blog Tours Promo, Review, & Giveaway! Out and In ~ ~ Lone Star Book Blog Tours Promo, Review, & Giveaway! 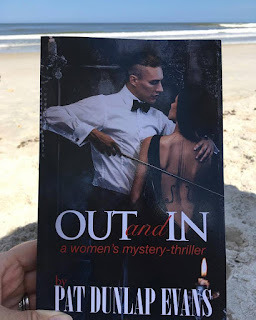 "Out and In is the perfect mystery-thriller for the beach, a long flight, or to savor before bed...an exciting but heartfelt story about a beautiful woman who struggles to prove her innocence … As for the ending, I am still stunned.” — Lara Reznik, Amazon best-selling author of The Girl from Long Guyland and Bagels and Salsa. "Could not put it down, once I started reading. Definitely a must-read. Look forward to reading more books from Pat Dunlap Evans. " -- five-star Amazon review by reader "Mimi"
"Awesome...flowed nicely ... definitely kept you on your toes to who actually committed the murder. The lead character was a perfect blend of hard and soft. A great read." 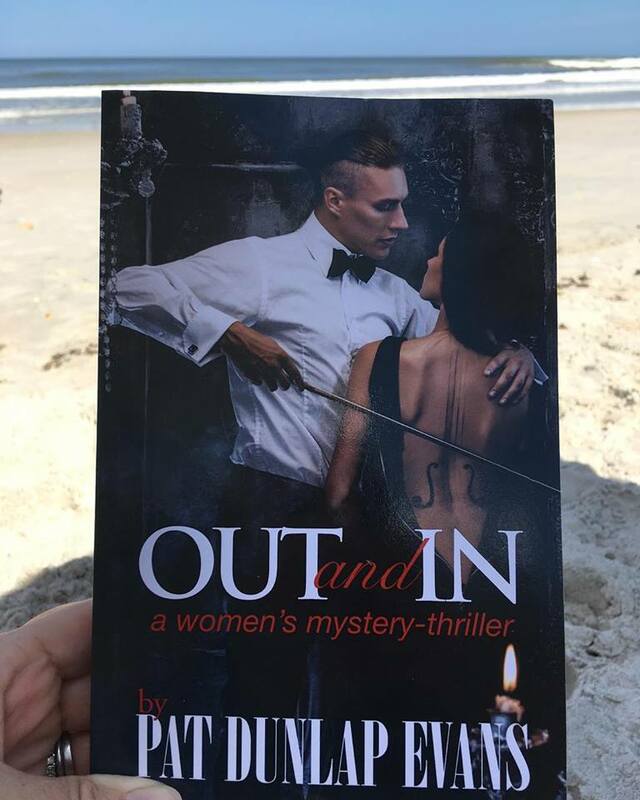 -- five-star Amazon review by reader "Tiffany"
Out and In was the perfect beach read for me! HALL WAYS REVIEW: From the very first lines of Out and In, readers know that main character Marie is a pragmatic, logical, and sarcastic soul. The narration is often from Marie's point-of-view, with Marie speaking directly to the reader. This approach results in a feeling that the reader is a friend -- but interestingly, not necessarily a trusted one. The narration style is only one of many aspects of the book that makes Out and In a truly unique and engaging story. 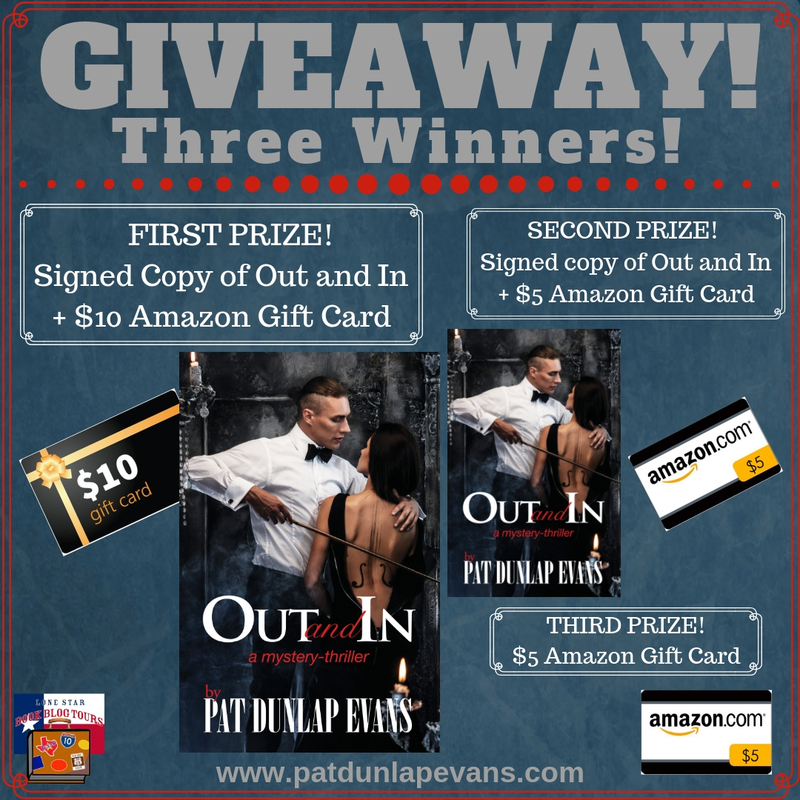 Author Pat Dunlap Evans fleshes-out some memorable characters, two of whom are dead as the story starts. Through Marie's visits down memory lane, other characters' comments and dialogue, and the deliciously biased newspaper column, "Out and In," readers are inserted into the high society scene and lifestyles of the rich, careless, and even murderous. If you are looking for people to love and relate to, this probably isn't your book, but it is highly entertaining, somewhat voyeuristic fun. The characters' lack of scruples and snobbery and their oh-no-she/he-didn't moments make for riveting reading. Much of Out and In is told in a conversational style, with the main character recounting or summarizing events. This sometimes takes the reader out of the action and being able to really experience the story unfolding. At other times, there is more dialogue and real-time action, and there is a sprinkling of chapters told from the killer’s point of view that readers will scour for clues. Evans includes some truly clever double entendres and saucy comments that will evoke some giggles. The book needs some additional editing and proofreading to clean-up a broad range of errors, typos, and too-long passages that are a bit of a distraction (for me) from the story, but again, the story is such a good time, many won't notice or care. 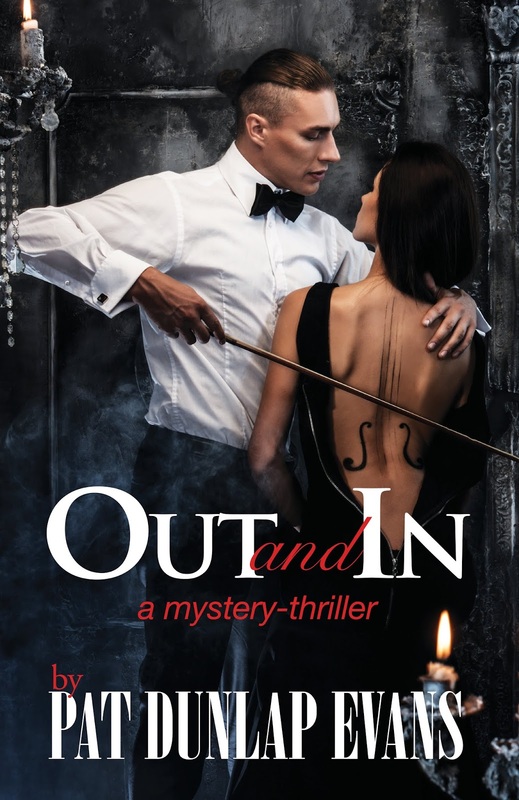 Overall, Out and In is a quick, fun, and JUICY story for those who love gossip and drama and a peek inside worlds to which most don't have access. I give it my beach-read seal of approval. Thank you to Lone Star Book Blog Tours and the author for providing me a print copy in exchange for my honest opinion – the only kind I give. Pat Dunlap Evans was born in Michigan but "got to Texas as soon as I could," she says. Her family lived in San Antonio and later Dallas, where she attended South Oak Cliff High School and Southern Methodist University. 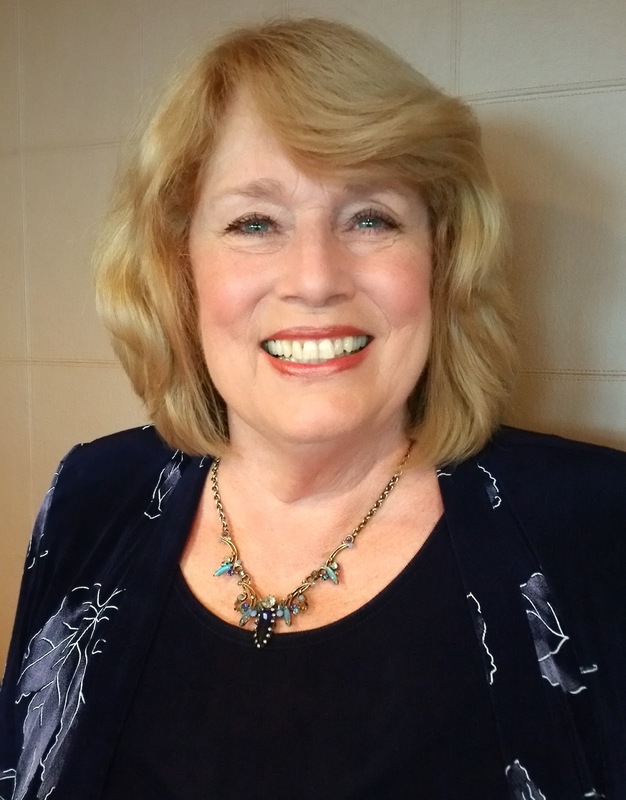 Pat eventually completed her bachelor's and master's degrees in English at University of Missouri, Kansas City, with emphasis on creative writing. She also taught freshman writing courses as a part-time lecturer. After a divorce, Pat stressed her way as a single mom through twenty-five years of high-stress advertising and marketing roles before retiring to write fiction and screenplays. She lives in the Lake Travis area with her second husband Dr. Bill Evans and enjoys travel, golf, volunteer work, sailing, and the chaos of the couple's combined five adult children, five grandchildren, and two cockalier dogs. Waiting to grab my free copy tomorrow so I can read this book! This sounds like a super engaging book. Great review! Thanks, Sawyer -- and it's a free download for a few days starting tomorrow! The way that thing he is holding placed on her back looks weird to me lol. Glad you enjoyed this! Great review. Hahahaha! He's supposed to be playing her like an instrument. I don't love the cover, but the story is good. I like the sound of this, and I love that cover! It's a really unique story -- and cover! You're welcome. It's an easy, fun story. I remember seeing this one somewhere and thinking what a clever cover!! Great review. Thanks, Nikki. It is really a clever cover, though NOT my kind of fella. Not a book for me, but love your thoughts. Great giveaway too. I was really surprised by this book -- the cover made me think it was going to be one thing (and NOT my thing), but the story was really good. I enjoyed the chapters that were basically the Out and In newspaper columns about the socialite scene.